Seamless, beware. Maple is here to stay. 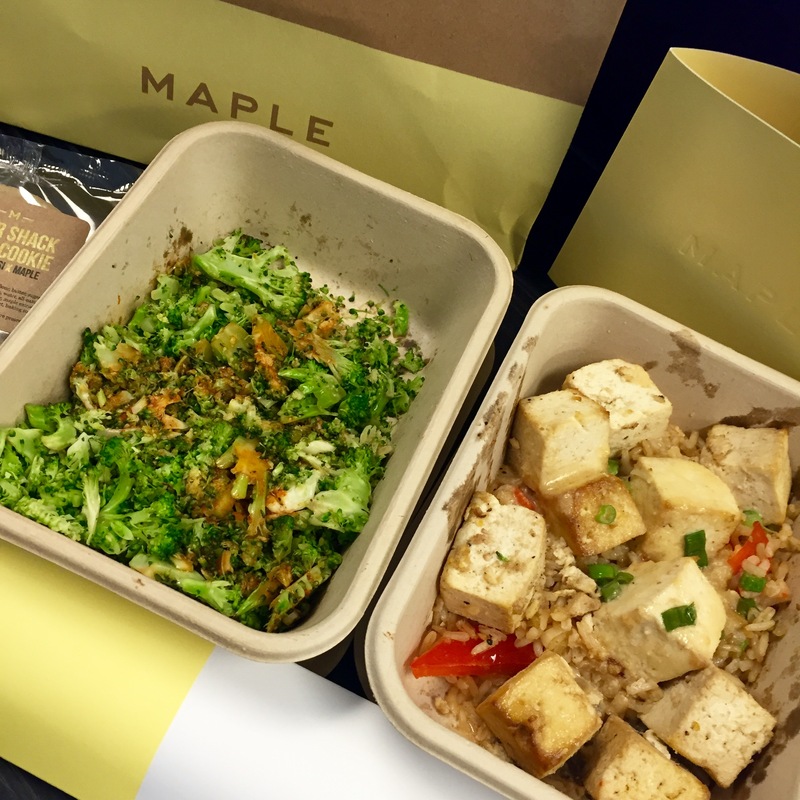 Maple is a food delivery service that brings in fresh, high quality meals right where you need them with the promise of excellent service and satisfaction. If you seek variety with a sense of security when it comes to your delivered meals, keep on reading. 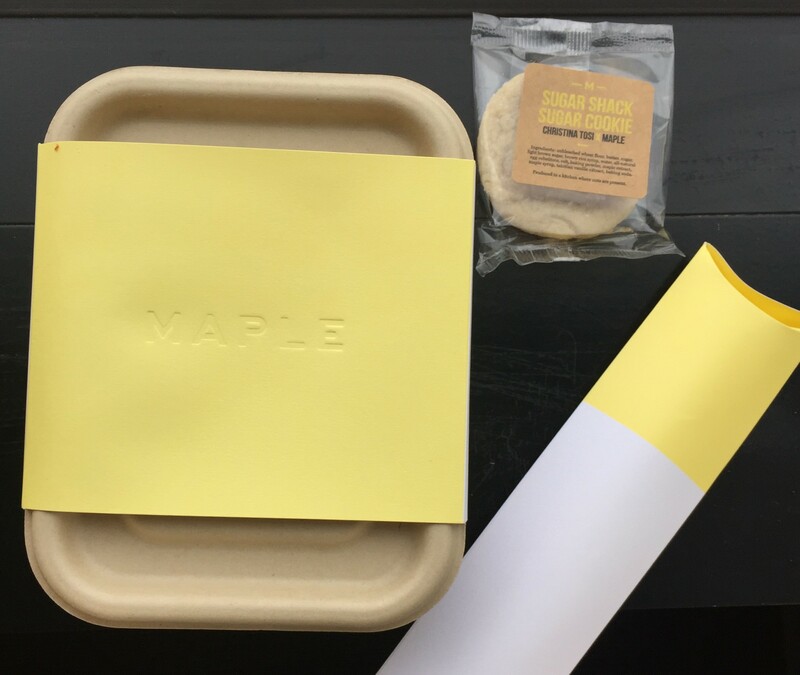 Maple is not a subscription service, unlike what my first impression suggested. There are no commitments when you sign up for Maple, every day is a new opportunity for you to order, or not, up to you. Its unique and sleek presentation might make you forget that it’s really just a restaurant ready to make you happy with delicious meals. How is it different? 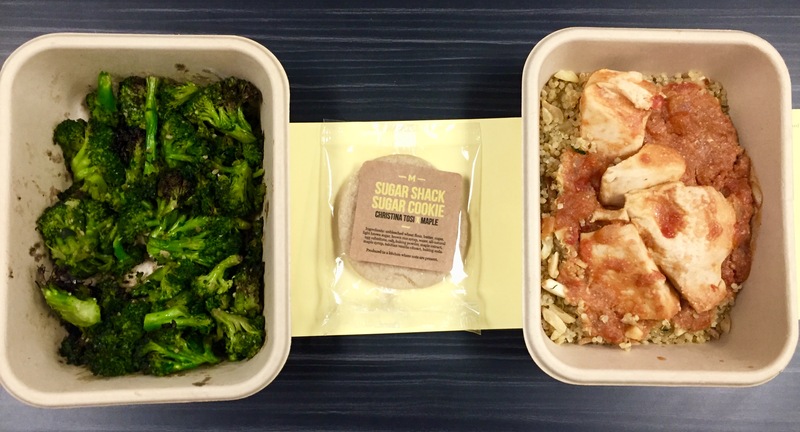 What first attracted me to inquire about Maple was their chef-inspired meals and the promise of fresh ingredients being used in healthy, yet savory plates. Little did I know that I was also about to encounter pretty much excellent customer service. I really like the fact that they use recyclable material for the food containers and in addition, they give you bags you can actually use again for other purposes. Special shout out to their branding team, it’s easy to find your delivery guy in a busy lobby (first world problem, I know). If I had to say something “negative” about Maple is that their menu constantly changes, so if you find a favorite plate you might not see it every single day. But hey, I think that’s part of the excitement and its charm. There’s a play with anticipation and looking forward to that element of surprise. Now, let’s talk about what matters… the food. Don’t worry, I will not bore you with every single plate me and my coworkers have ordered from Maple thus far (a lot). Instead, I will share my first few meals which really sold me in and turned me into a fan. Like I mentioned before, their customer service is great and that is definitely the firs thing I noticed. Not only did they have a perfectly seamless experience, but they were right on time. On top of that, the food was delicious, fresh and just the right amount. Absolutely tops my typical, boring salad game I have going on for lunch most days. I did not know tofu could taste so good and feel so tender. Also, the spice was an excellent kick to keep my day going. I have not seen this plate a lot, but it is probably my current favorite. Another thing to note is that they do not currently accept substitutions. I imagine it is to keep the efficiency going and I respect that. They literally list every single ingredient used in every single plate so you know what you are getting. I have chosen not to order certain plates because of one ingredient I may not be a fan of (mustard, ugh) but there is always at least one option each day that I feel happy about. Overall, I love how they separate the food to keep it fresh and true to its flavor, yet they pair perfectly. Quantities are also just right, I’ve never been ridiculously full or left feeling hungry. Honestly, prices are not bad at all. Considering that the itemized price includes tax and tip, $11-$13 for the type of lunch you get is great, keeping in mind it’s New York City. Have you tried Maple yet? If so, what has been your experience? Would love to hear about your favorite Maple plates too!